Buffalo horn spoon is a kitchenware product by Swastik International located in Kolkata West Bengal. 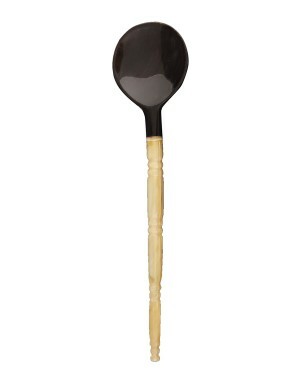 It is a handcrafted piece made of buffalo horn, which is material particularly suited for spoons. It is of off white color which makes it different from others.